Customer Reviews	Overall rating:	4.8	out of 5 based on 55	reviews. 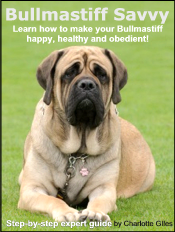 If you would like help with your Bullmastiff click here to find out more! My Bullmastiff Can Sit, Stay & Come! - George Ddkins,	bourg	louisiana	u.s.a.